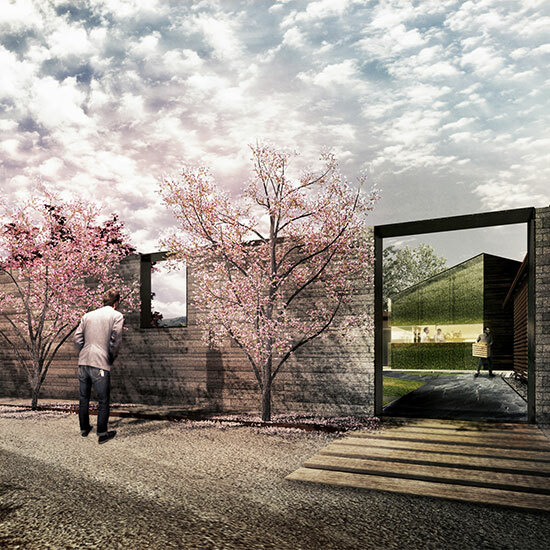 The French Laundry is set to undergo a dramatic transformation in collaboration with Snøhetta, an ultra-elite design firm based in Oslo and New York. Here, the first renderings of what will become the restaurant's dramatic new kitchen and exterior grounds. 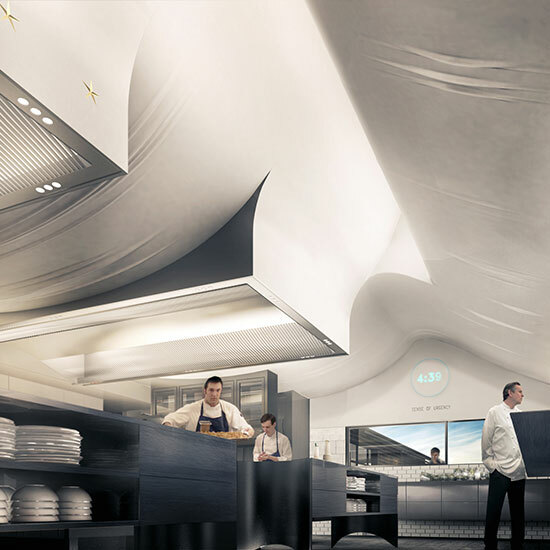 Restaurant kitchens aren't typically distinguished by their ceilings, but TFL's will be spectacular. Fiberglass-reinforced polymer, shaped to resemble a drapey tablecloth, frames a large skylight. Snøhetta project manager Nic Rader did his initial research in Per Se, Tomas Keller's New York flagship. He sat for more than 13 hours at one point, watching the chefs move. 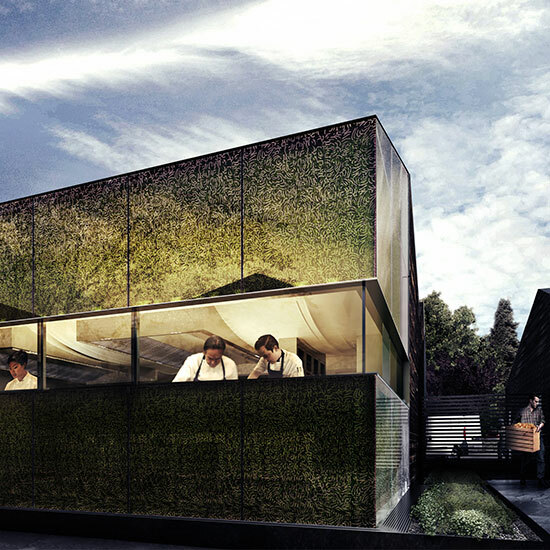 The exterior pattern on the French Laundry's new kitchen was derived from layered sketches of chefs' hands at work. 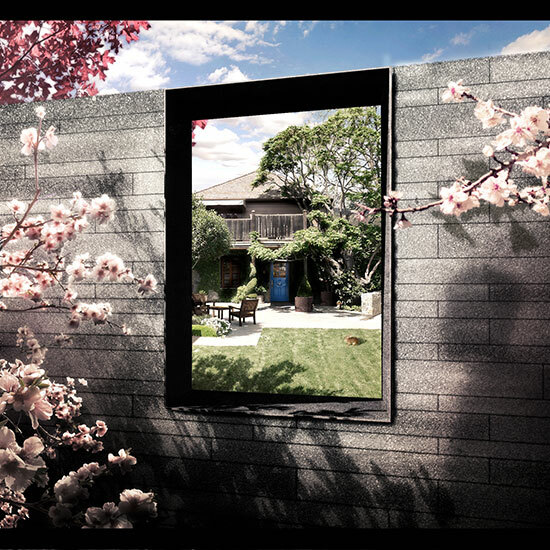 Snøhetta created two “rooms” for diners to pass through when they arrive at the French Laundry. The first is the car drop-off area, which will be surrounded by an almond grove. Framed views figure heavily in the outside design. In this rendering, we see the iconic blue door attached to TFL's main structure, which will remain unchanged.